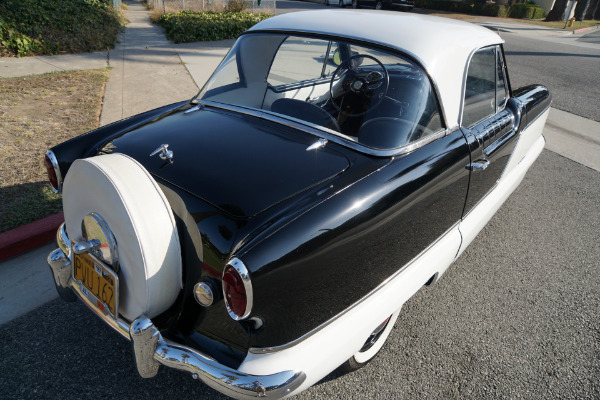 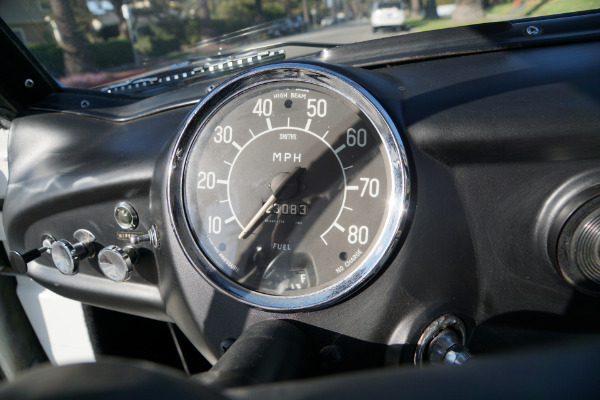 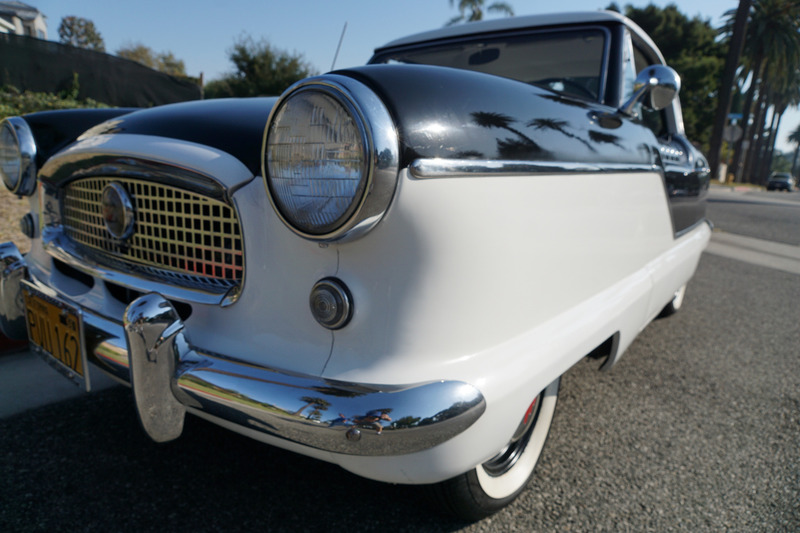 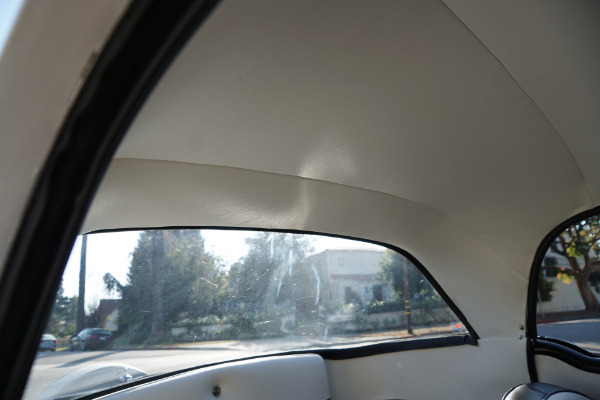 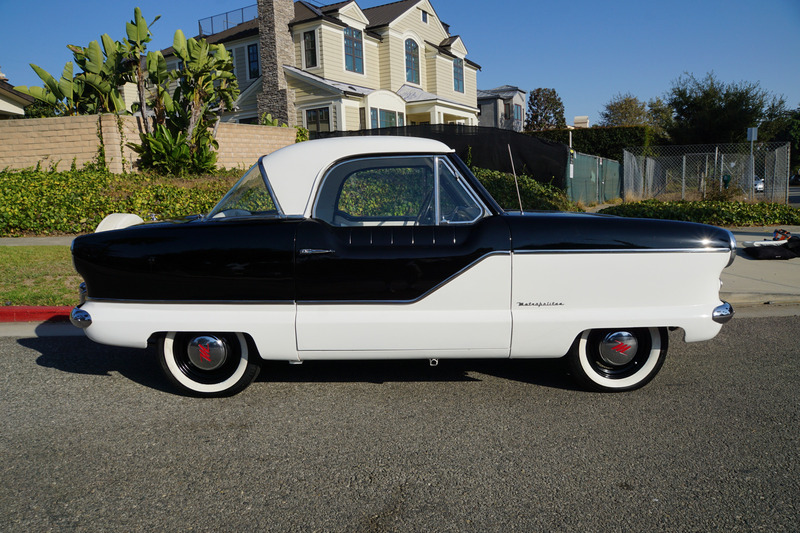 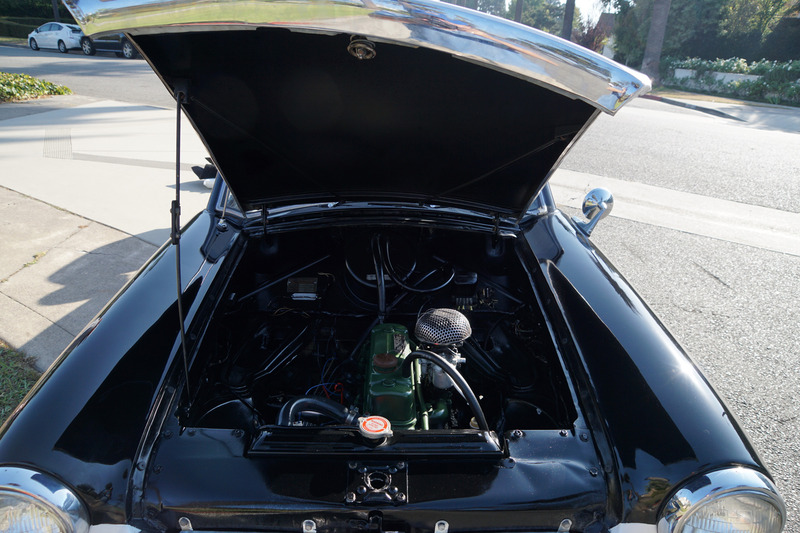 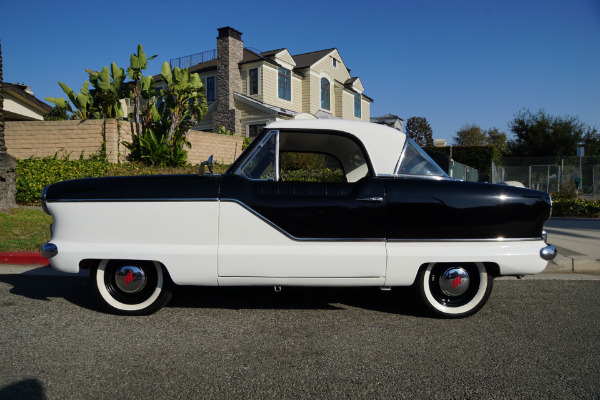 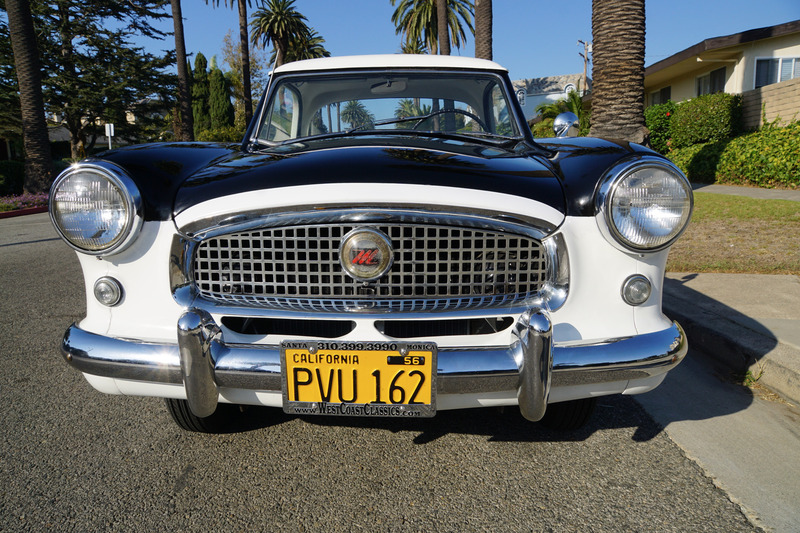 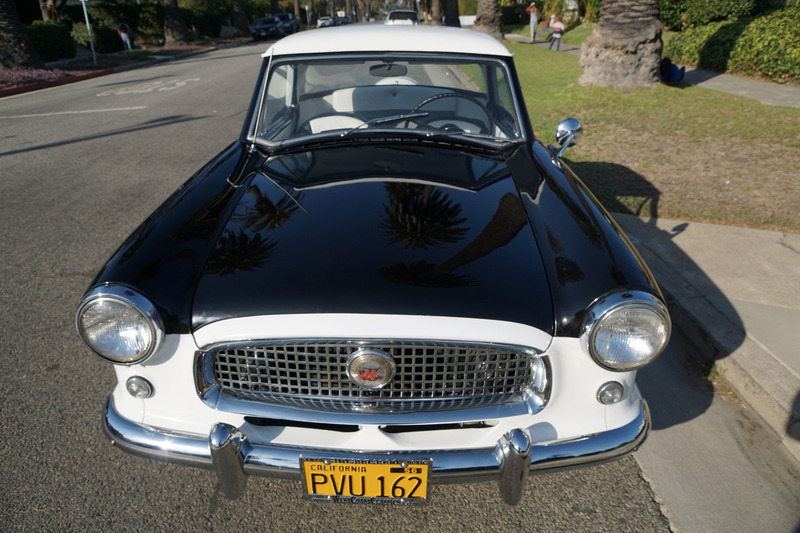 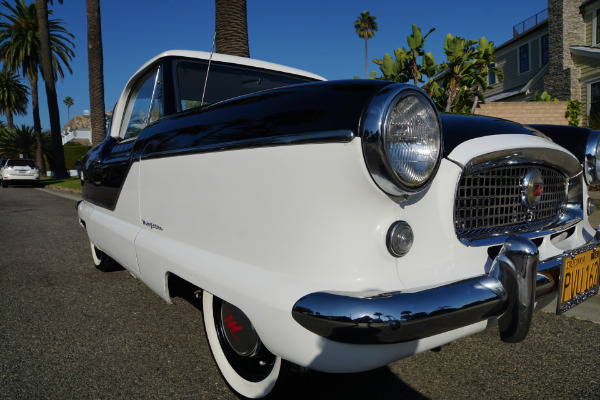 West Coast Classics are proud to present an exceptionally straight and great daily driving survivor of this original southern California 1959 Nash Metropolitan 1500cc 4 cylinder Coupe with Continental Kit! 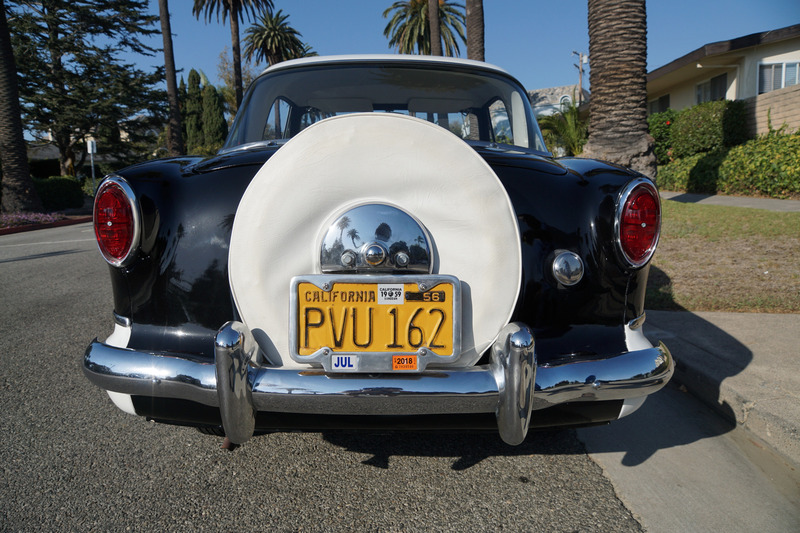 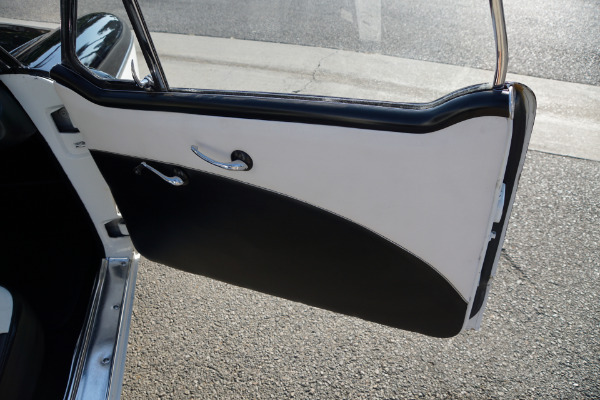 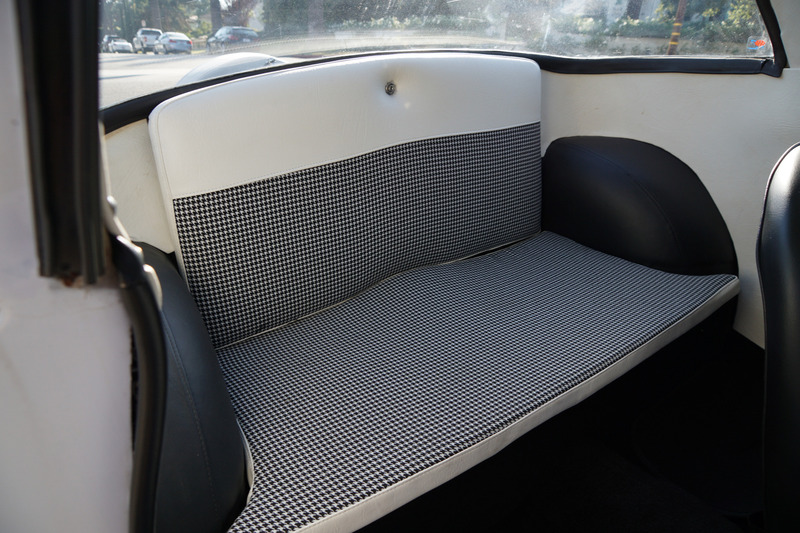 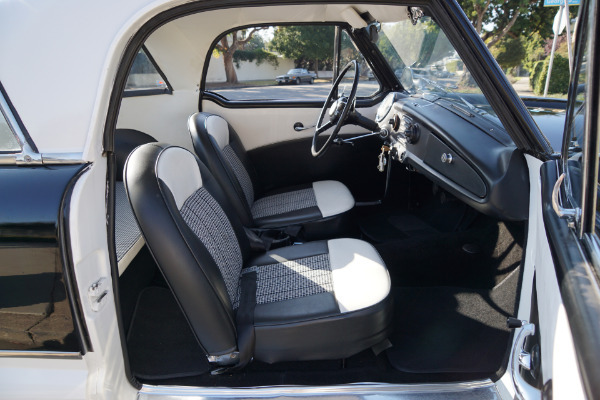 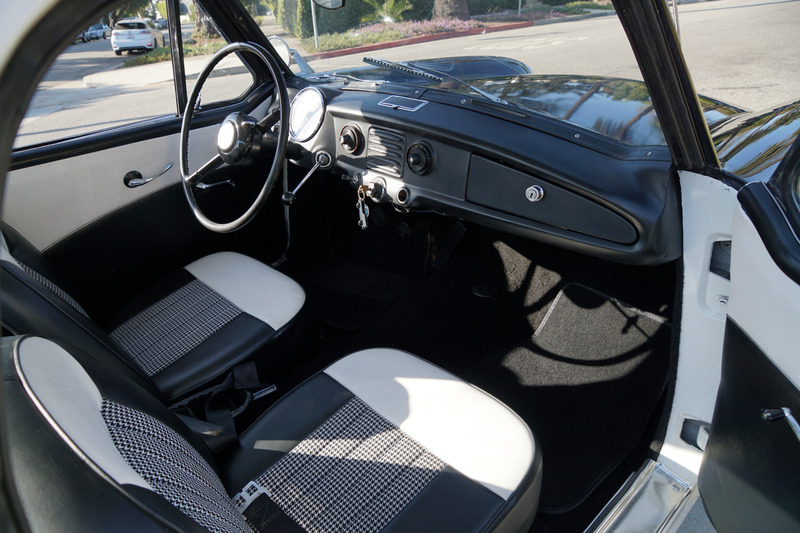 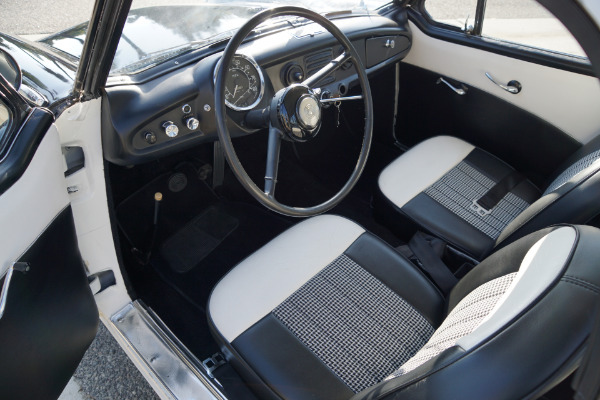 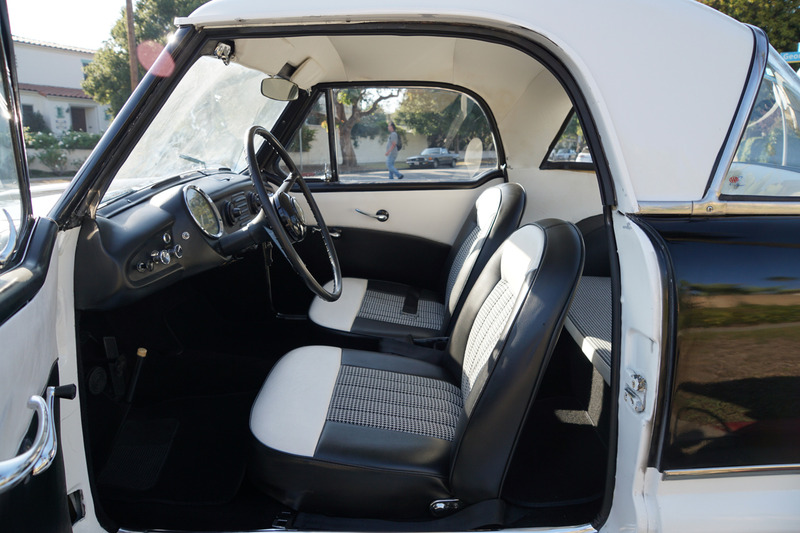 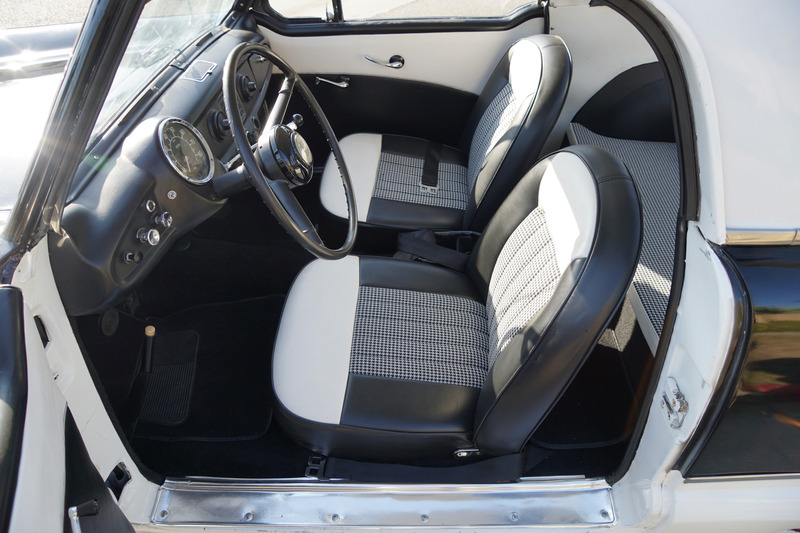 This an original southern California car, repainted in a striking two-tone 'Black & White' color combination with a matching two-tone 'Black & White' houndstooth interior and is a true survivor without rust. 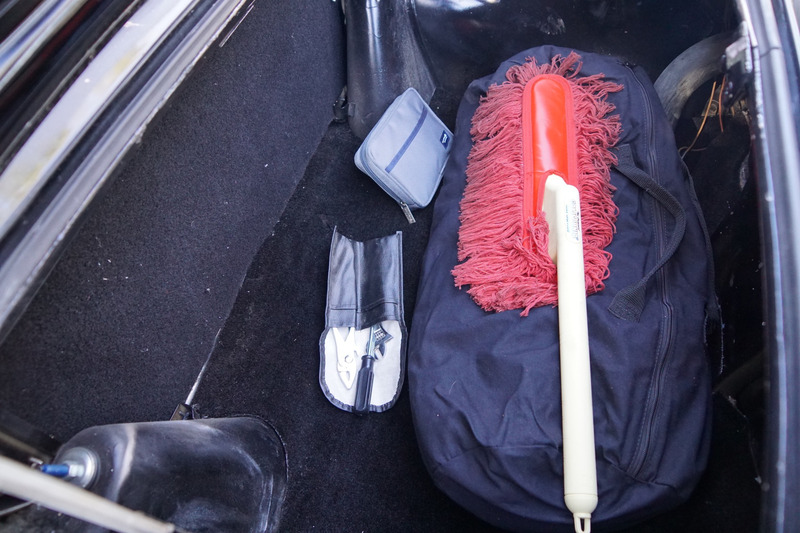 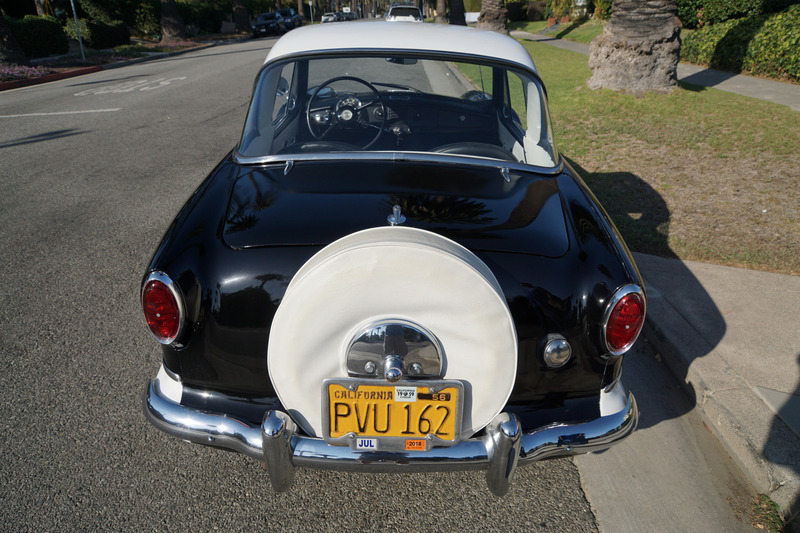 It drives very well and will not require any work to enjoy driving today. 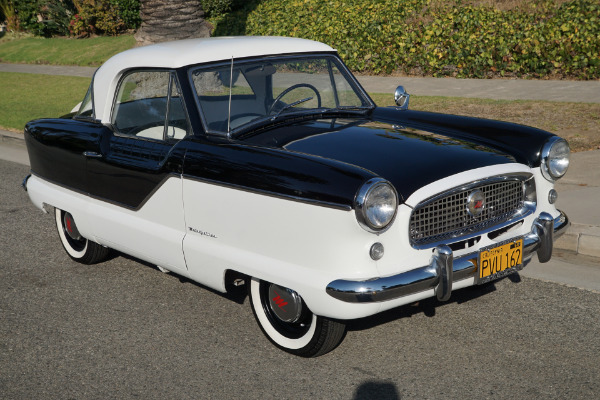 To answer the demands for a tiny but practical automobile Nash introduced the original 'Smart Car', the Metropolitan with a body built by 'Fisher & Ludlow' in Birmingham, England and wrapped around an Austin rolling chassis complete with an Austin A40 engine. 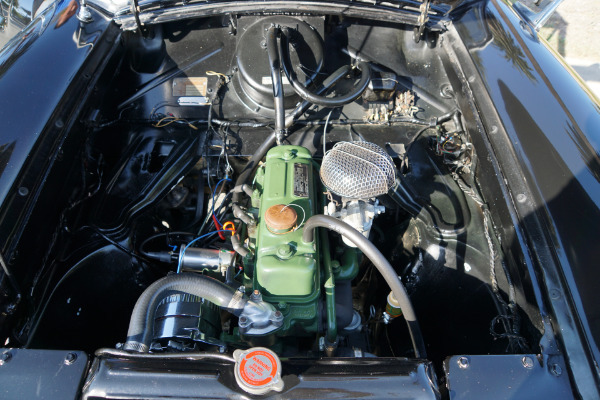 This was the forerunner of the famous 'B' series unit that later powered the legendary MGA & MGB with the 'B' remaining in production until 1980! 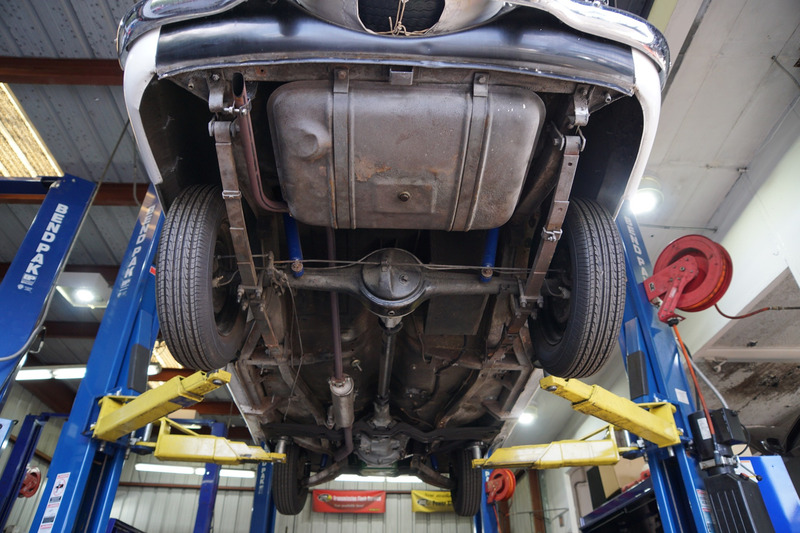 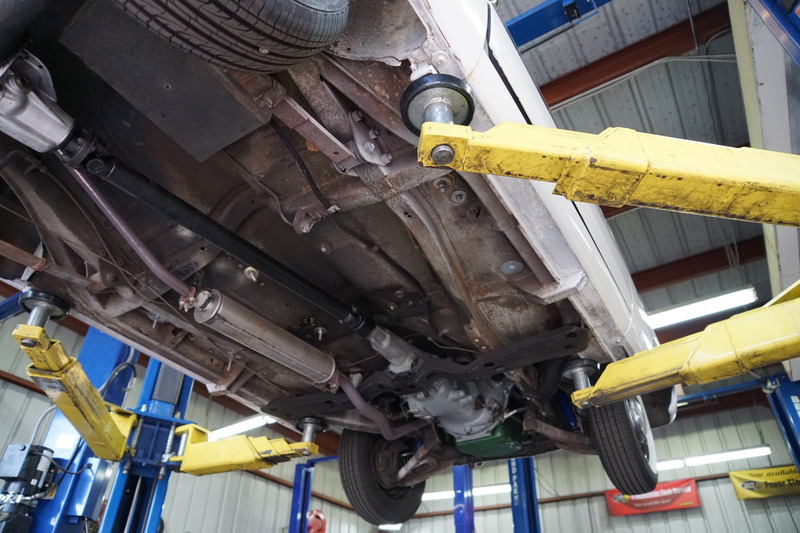 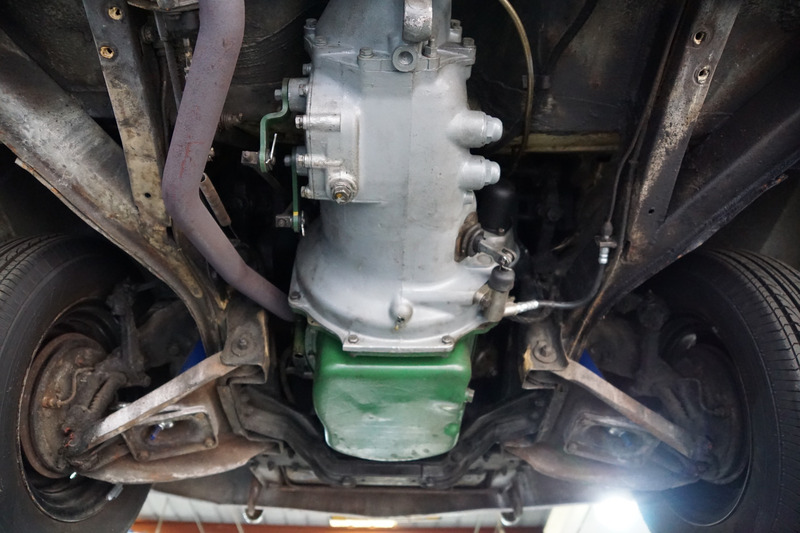 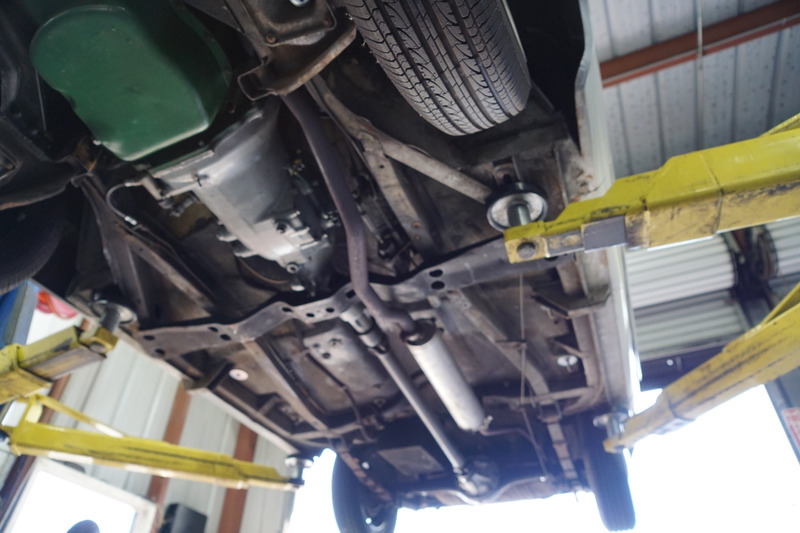 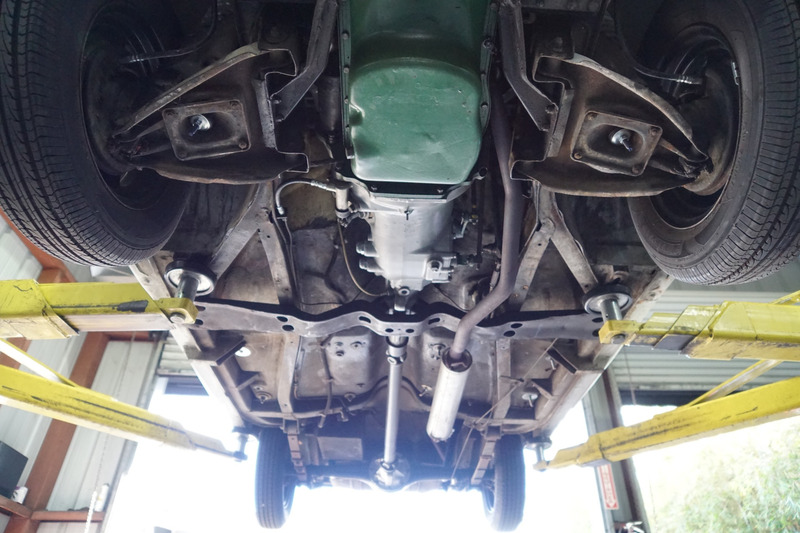 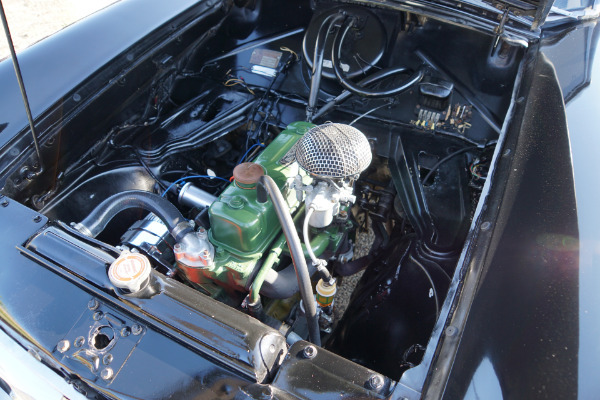 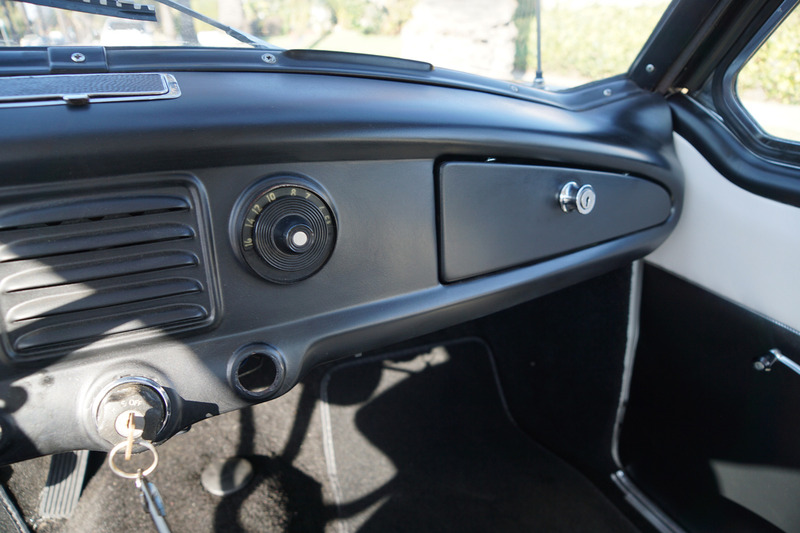 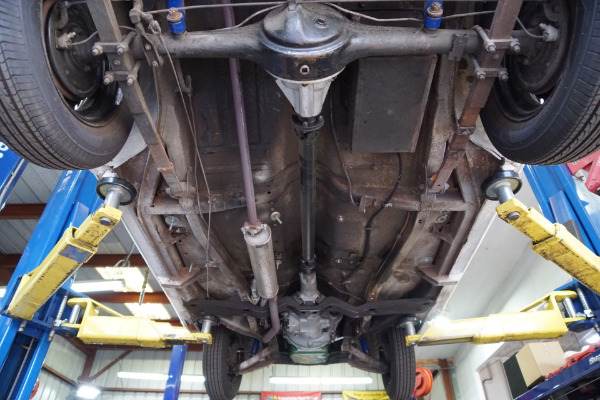 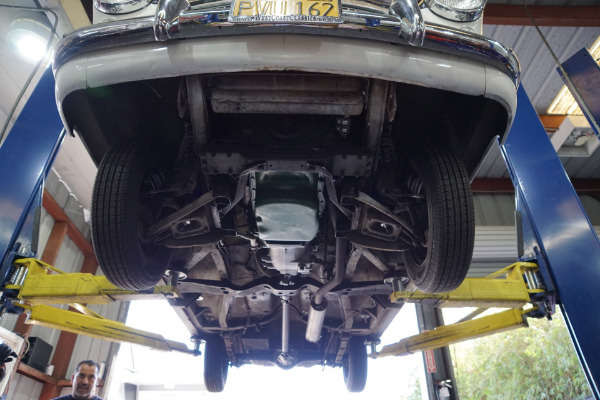 The transmission is derived from the 4 speed used in the Austin A40 with the bottom gear removed so the Nash uses only the upper 3 ratios. This was possible due to the good power of the A40 engine compared to the light weight of the Metropolitan body. 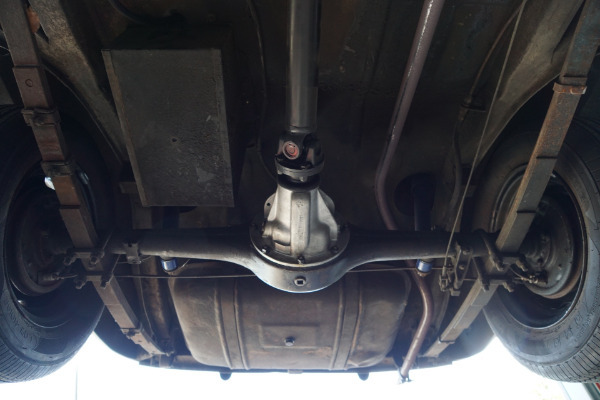 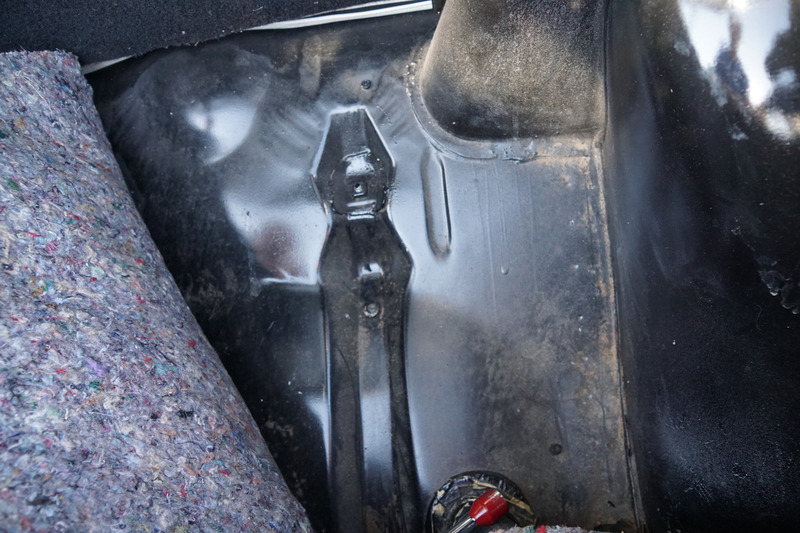 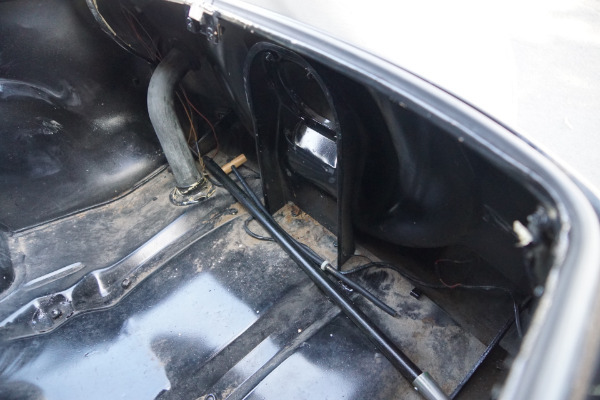 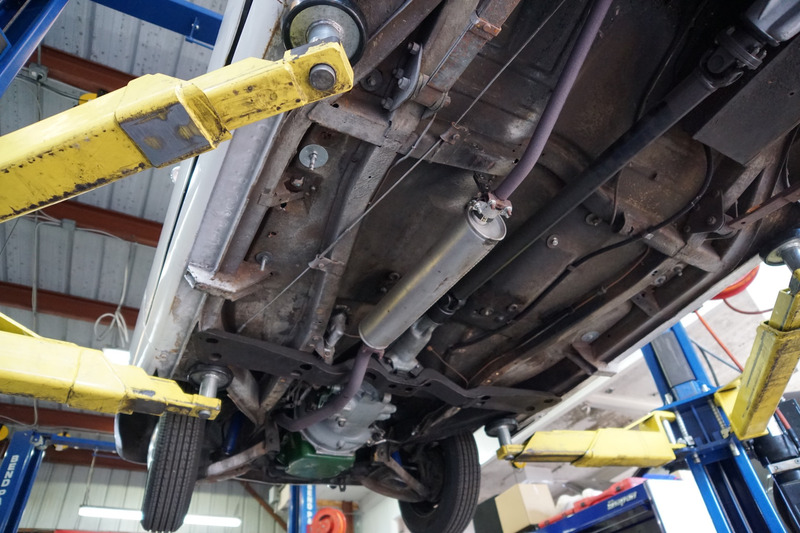 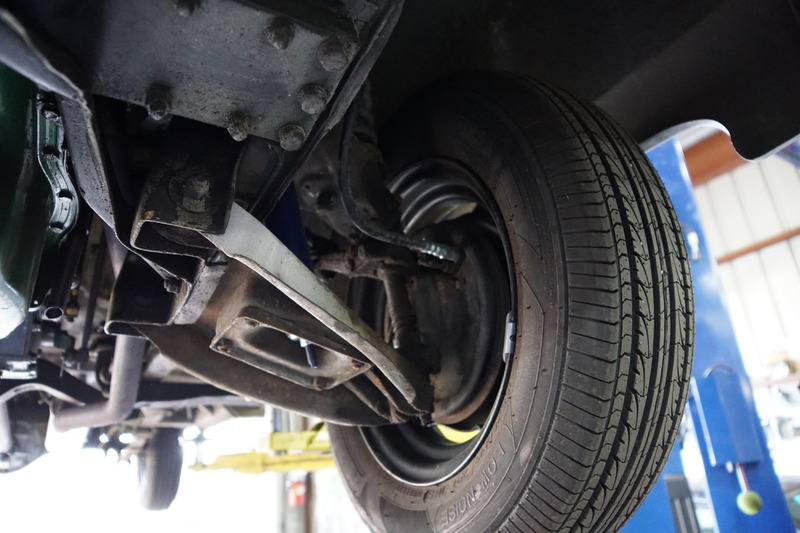 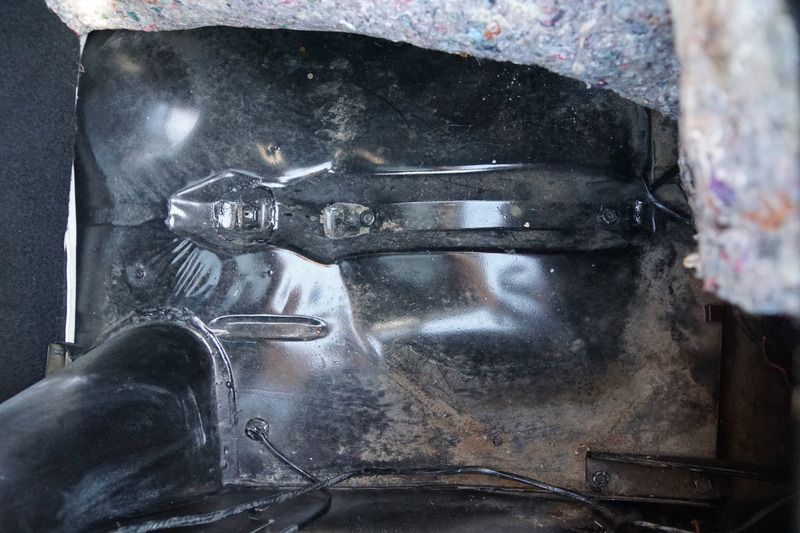 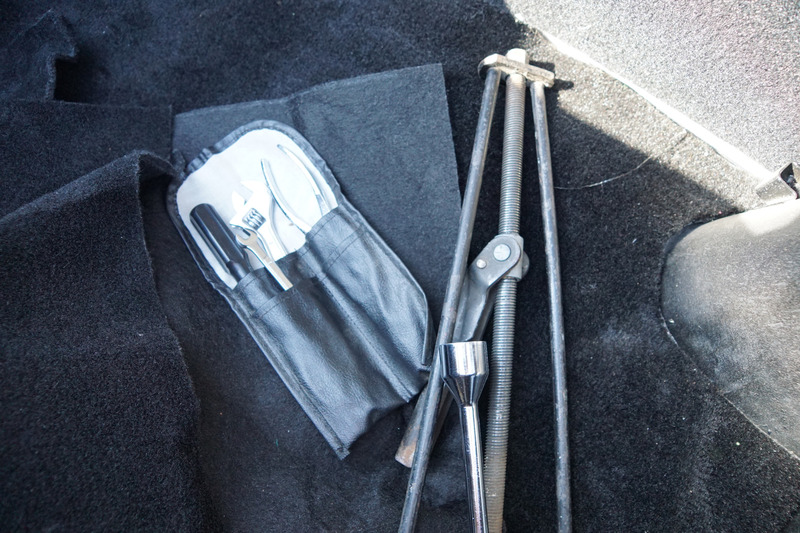 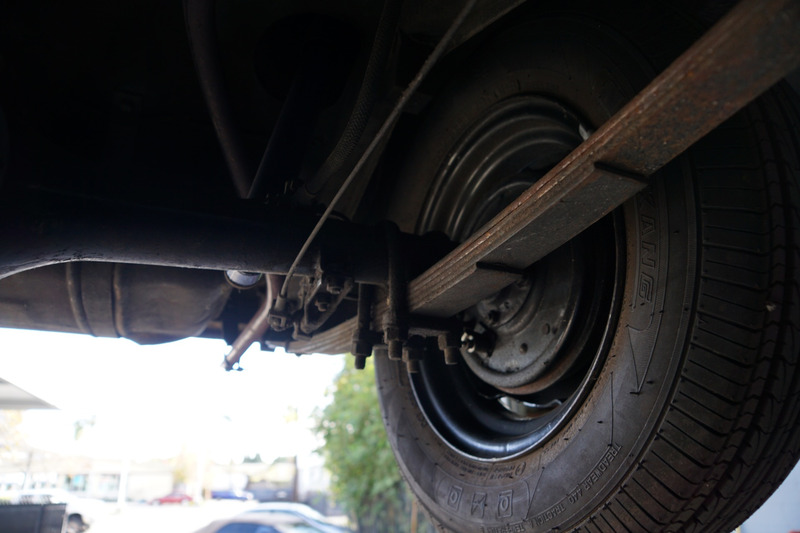 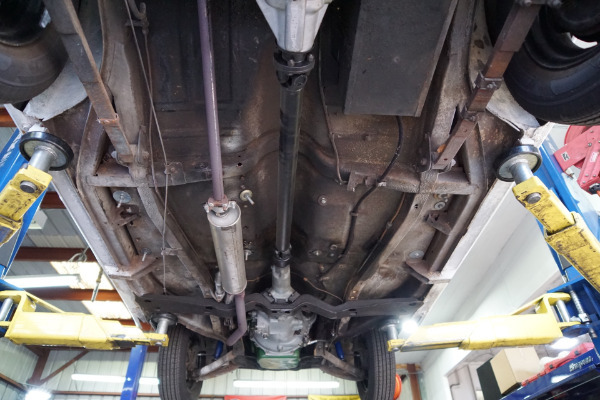 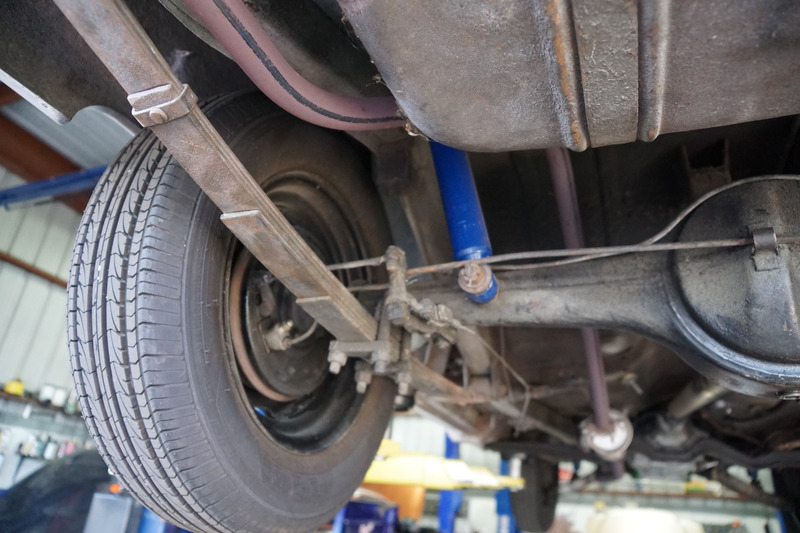 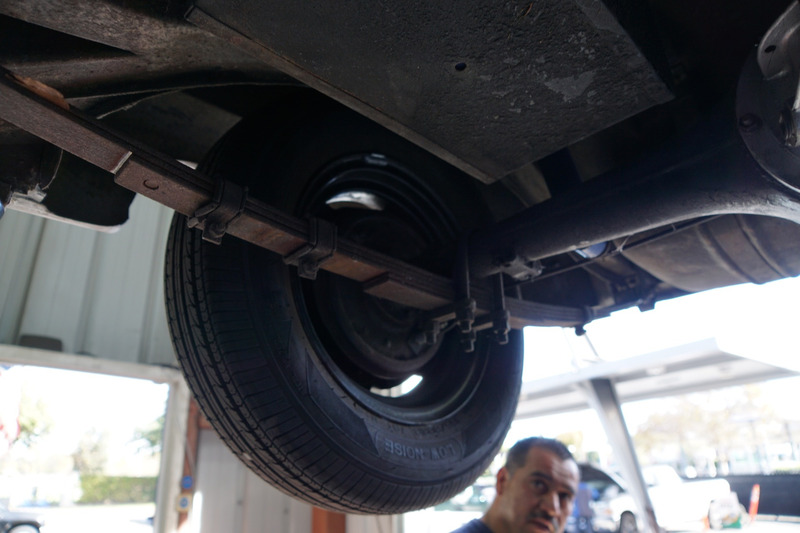 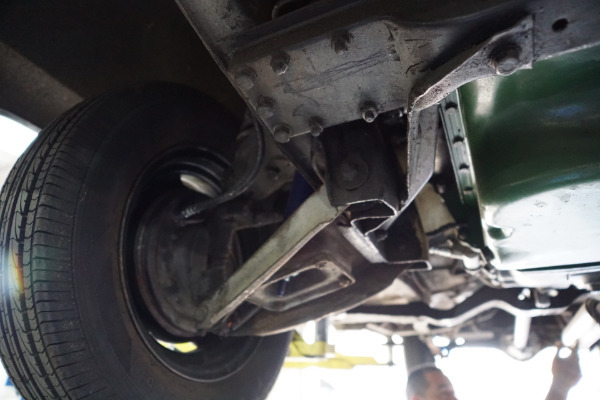 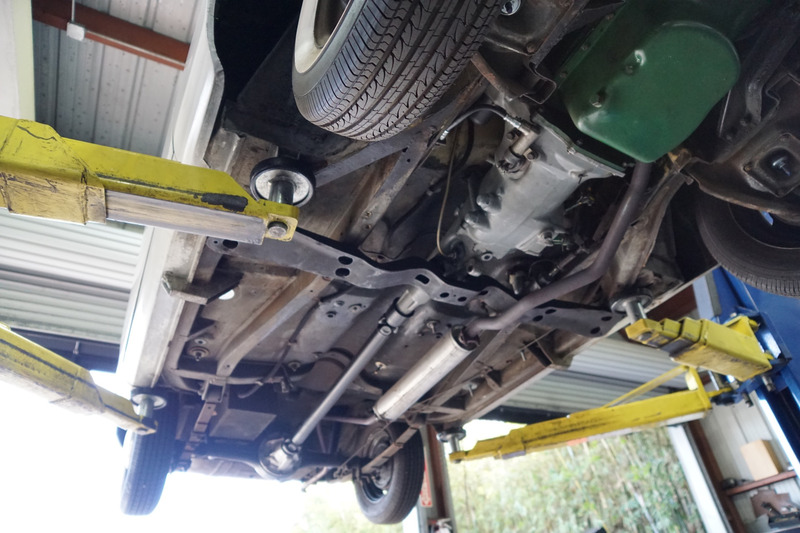 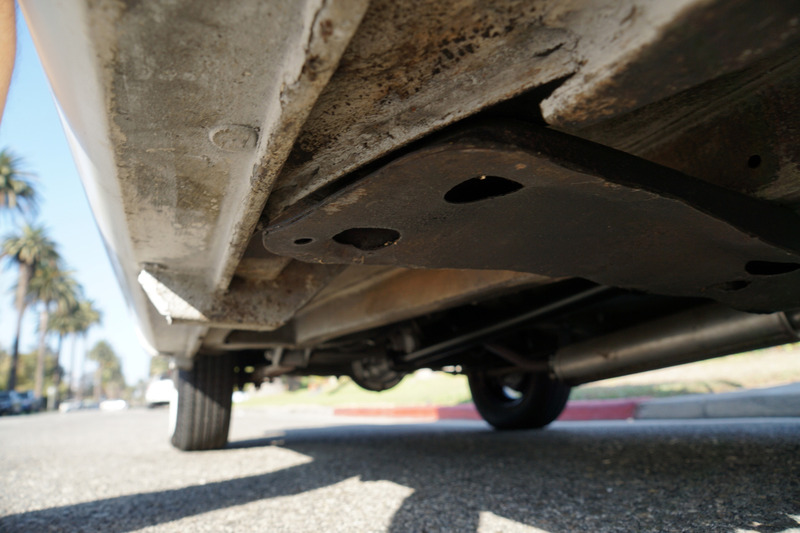 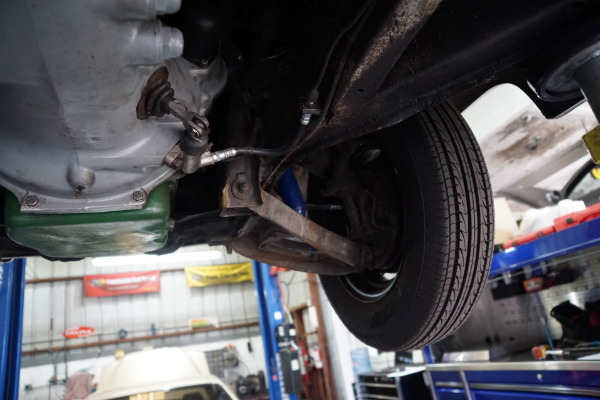 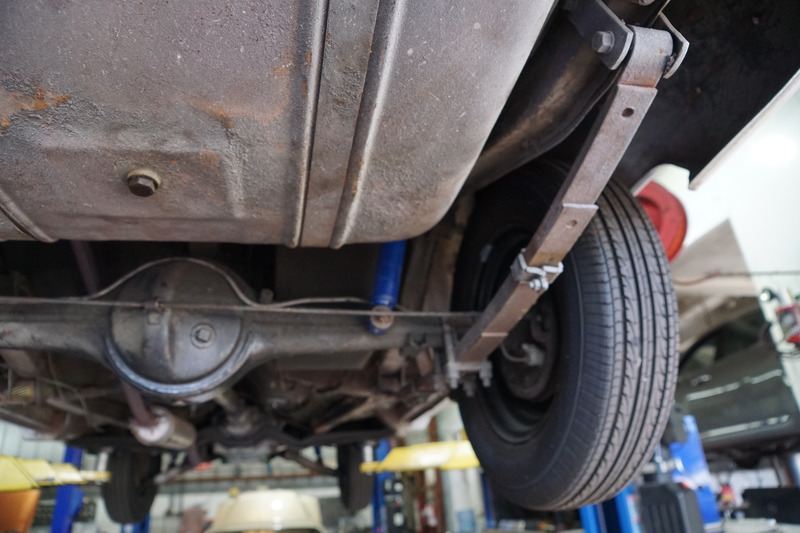 The car has a 'Wishbone' front suspension with coil springs on the upper wishbone and telescopic shock absorbers on the lower wishbone. 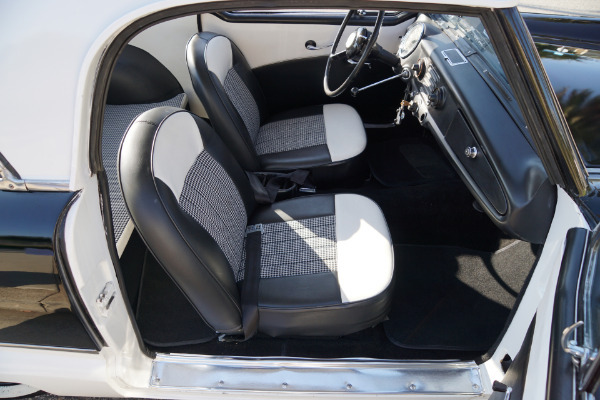 Production at Austin's Longbridge, UK factory had started in October 1953 with two models, a convertible and a hardtop, which were powered by the Austin 'A40' series engine with a three-speed manual transmission. The new model was initially to be called the 'NKI Custom', but the name was changed to 'Metropolitan' just two months before its public release. New chrome nameplates with the 'Metropolitan' name were made to fit into the same holes as the 'NKI Custom' script on the passenger side front fender. In May 1954, Nash announced that it had merged with the Hudson Motor Company to form AMC, 'The American Motor Corporation' and by August 1954, Metropolitans also became available from Hudson dealers. 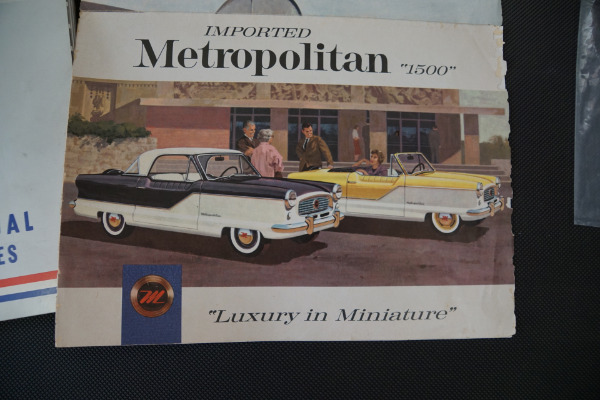 These 'Hudson Metropolitans' carried a Hudson grille badge and hubcaps incorporating an 'M' logo, a 'bulls-eye' horn button design, and a plain spare wheel cover. 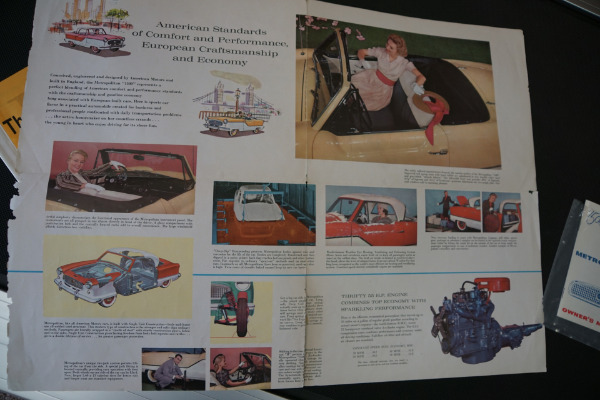 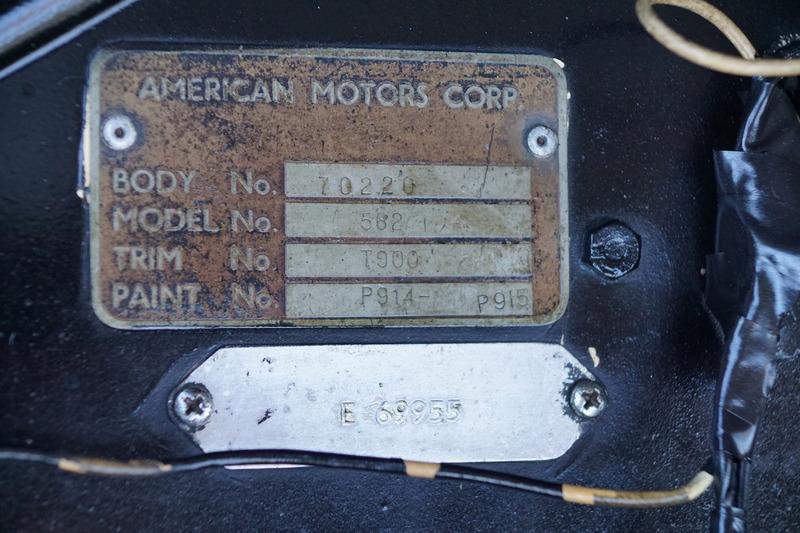 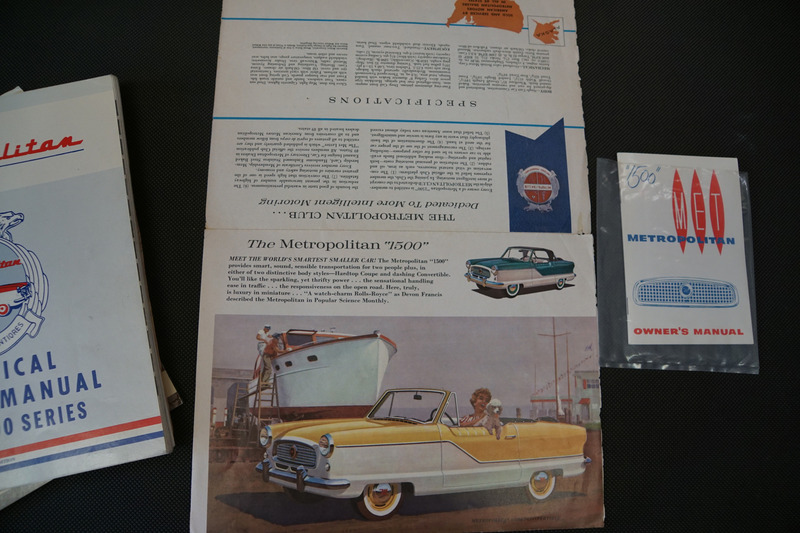 In October 1956, Austin Motor Company obtained permission from American Motors to sell the Metropolitans in overseas countries where AMC did not have a presence. 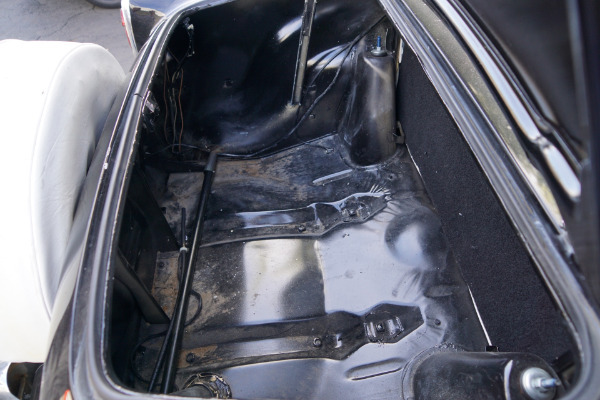 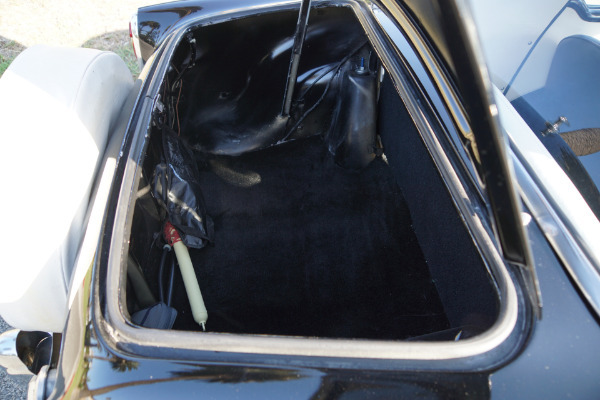 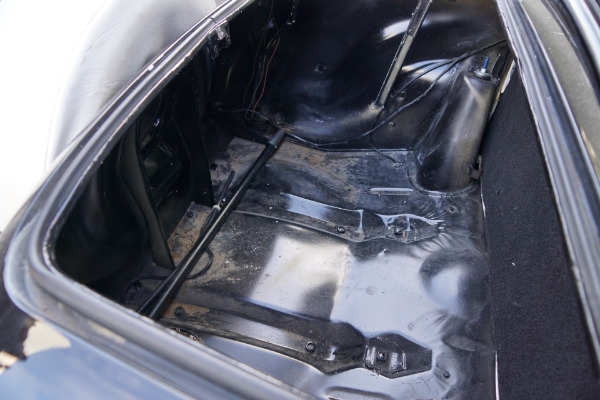 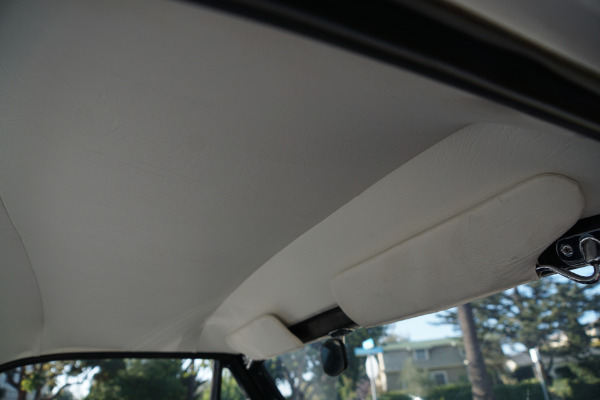 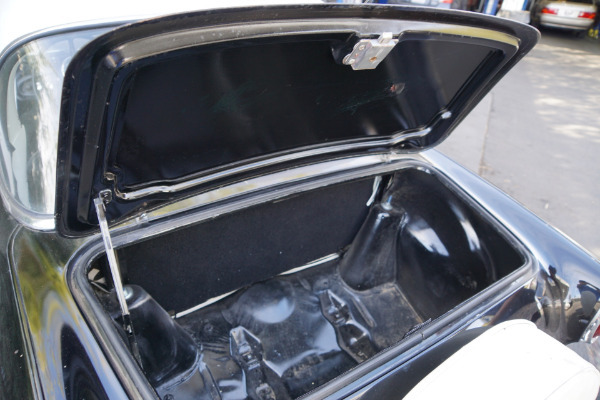 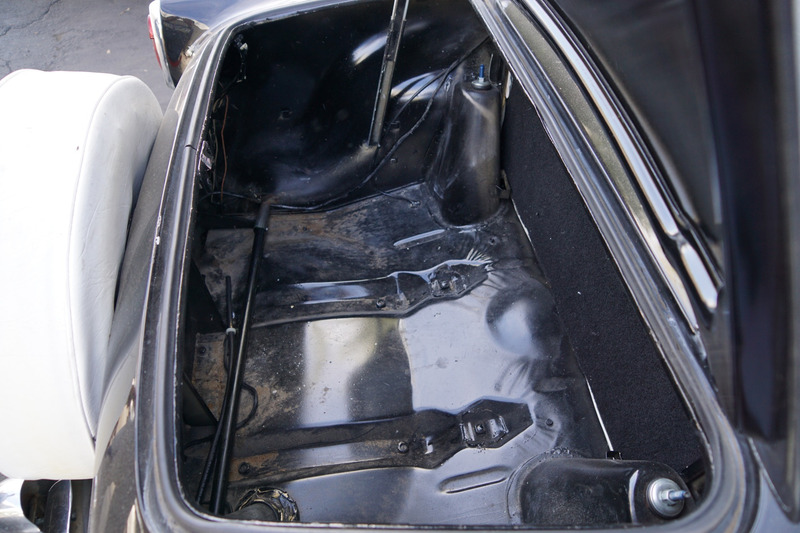 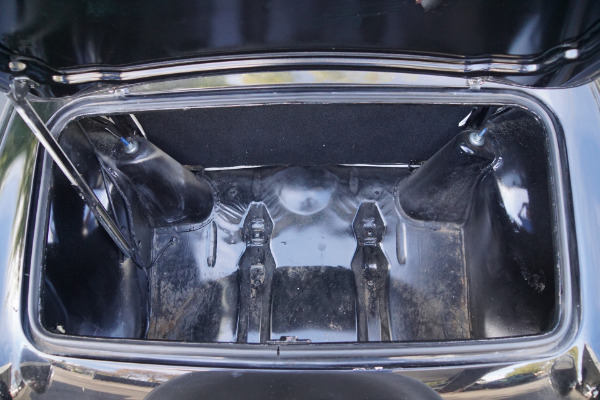 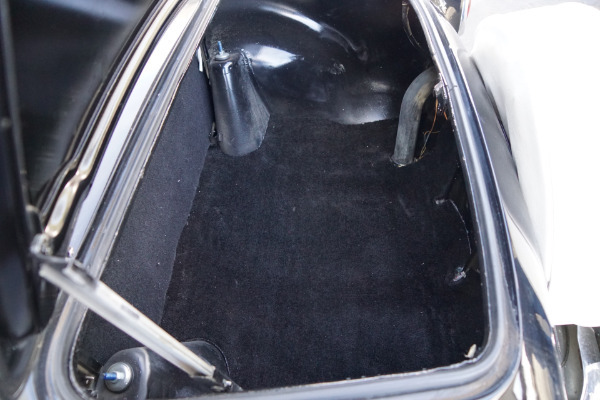 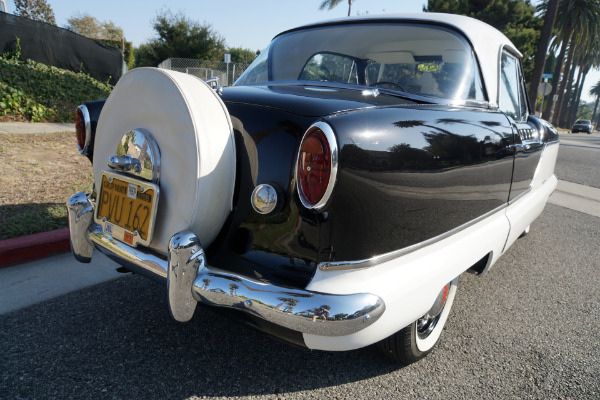 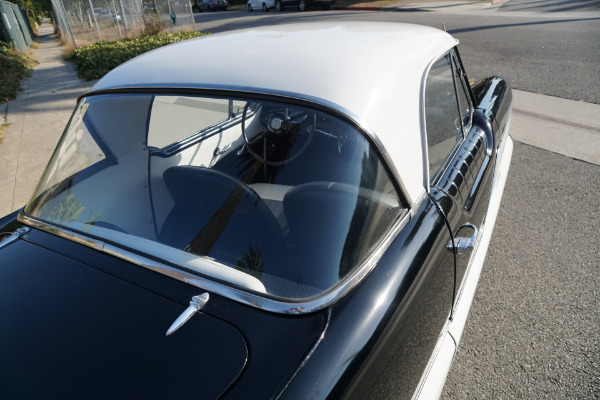 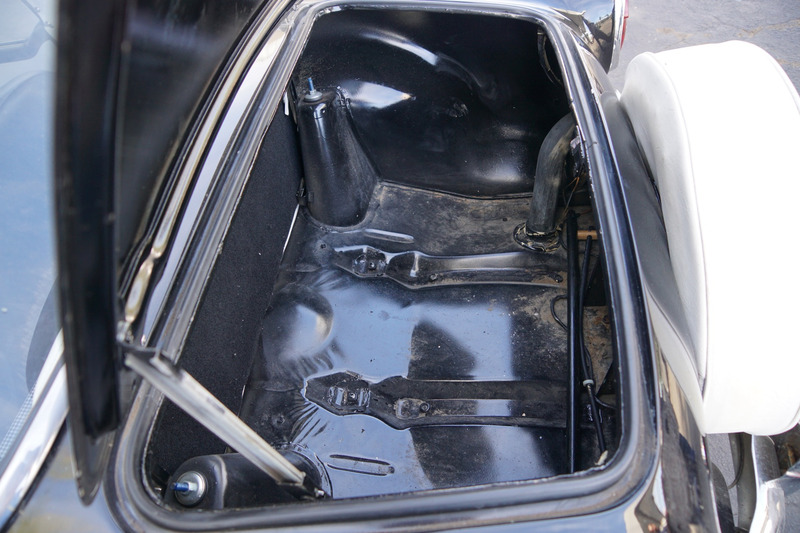 Until 1959 the Nash had no trunk lid meaning that all luggage had to be fed into the trunk from behind the seats. This 1959 Series IV model is the first year to boast the Austin A55 engine and a functioning external trunk lid. 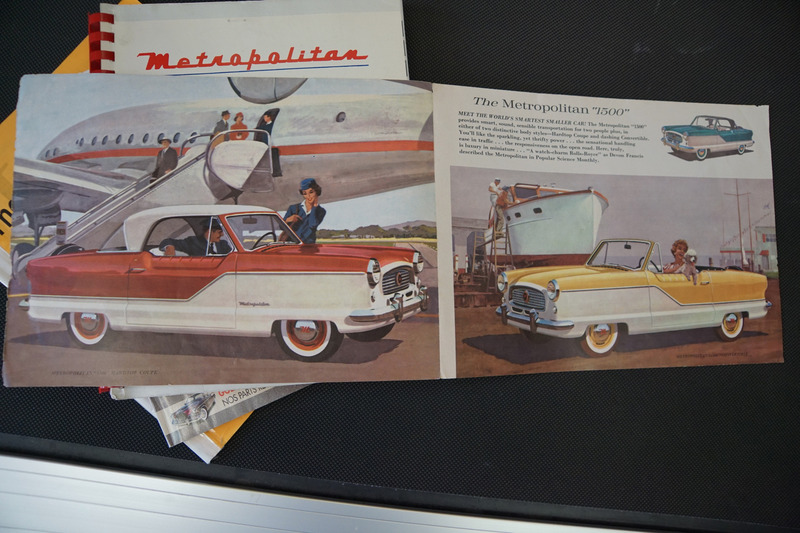 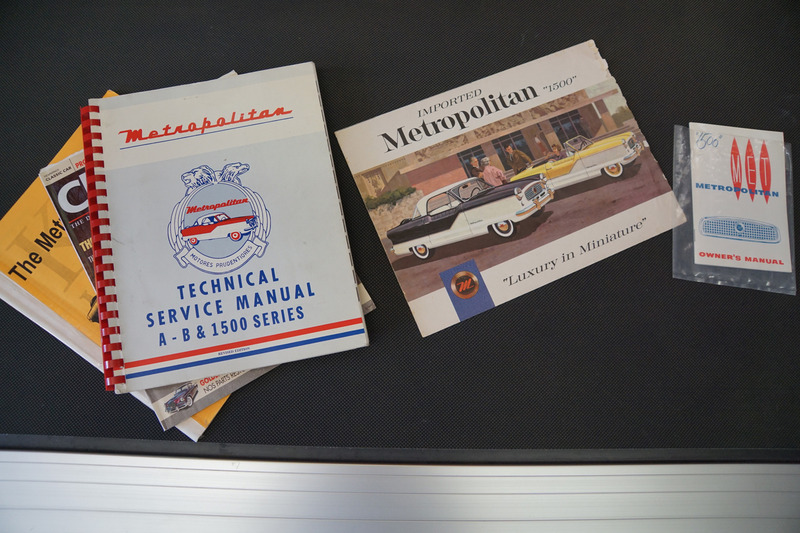 The last Metropolitan's were sold in 1961. 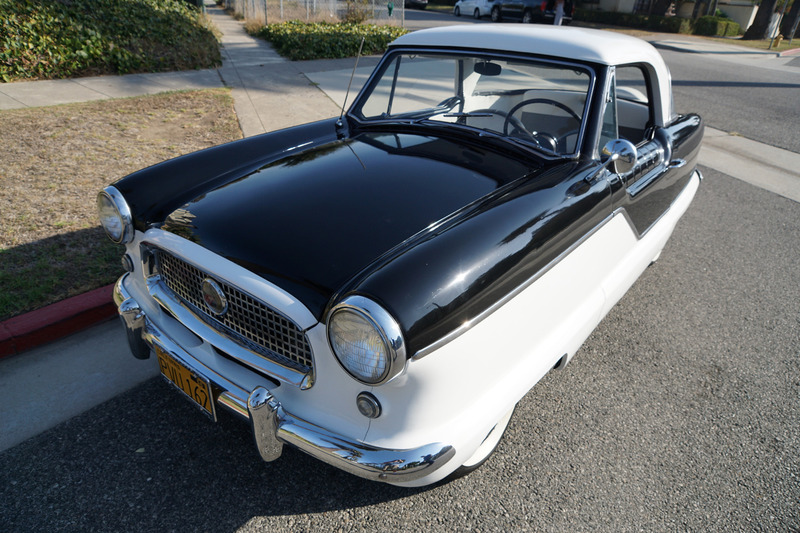 This is an extremely unusual opportunity to own a great daily driving example of this very desirable original Series IV 1959 Nash Metropolitan coupe with Continental Kit in very fine daily driving condition ready for any classic American car enthusiast to enjoy or collect today!